Dinner for two in less than 30 minutes? And, hardly any clean-up? Yes please. 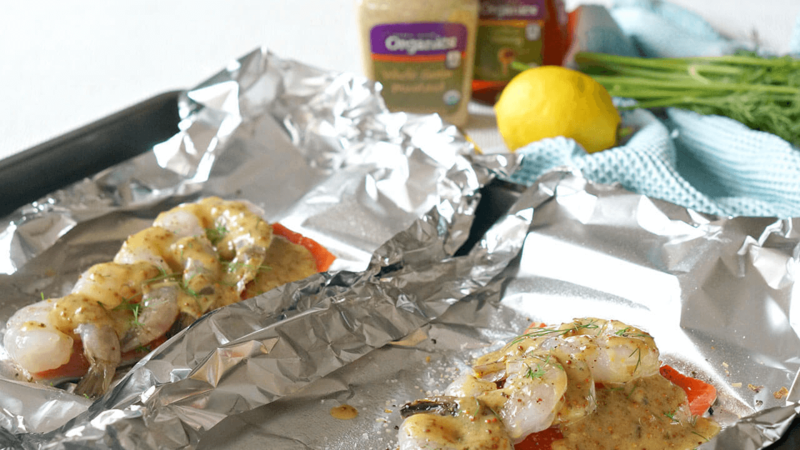 You’ll want to incorporate these Honey Mustard Shrimp and Salmon Foil Packs into your meal plan! Whether you're cutting out meat for Lent or you simply are trying to eat more seafood, this is a dinner you’ll want to bookmark. I love a foil packet dinner for a lot of reasons. First, it’s a great way to cook seafood. 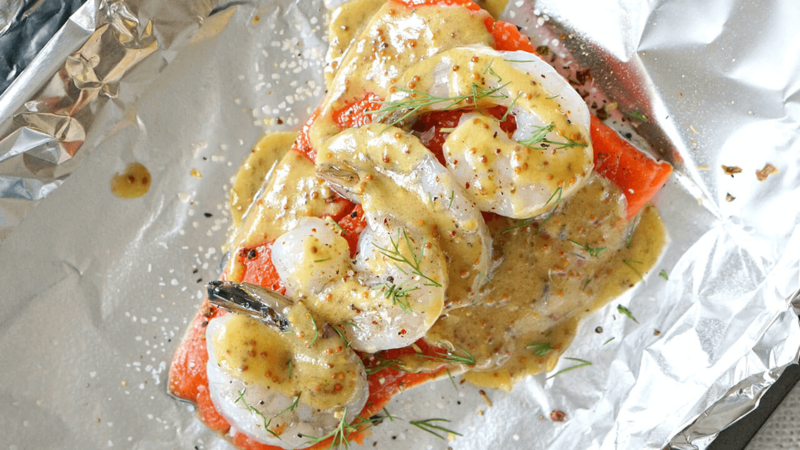 In this recipe, sealing in the shrimp and salmon along with a honey mustard sauce helps this dish steam to perfection in the oven. But, let’s be honest. The #1 reason foil packets rock? No clean-up! Preheat the oven to 400 degrees Fahrenheit. Combine sauce ingredients and stir until smooth. Set aside. 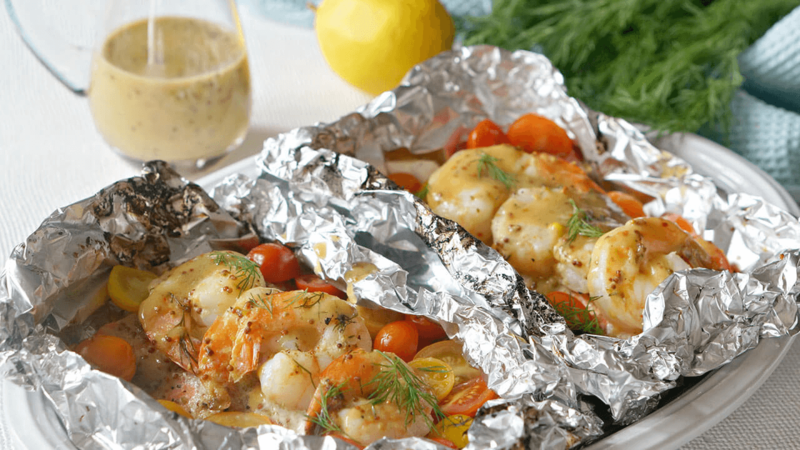 Place two pieces of aluminum foil on a baking sheet and coat with cooking spray. Lay down a salmon filet on each piece of foil and season generously with salt, pepper and grill seasoning. 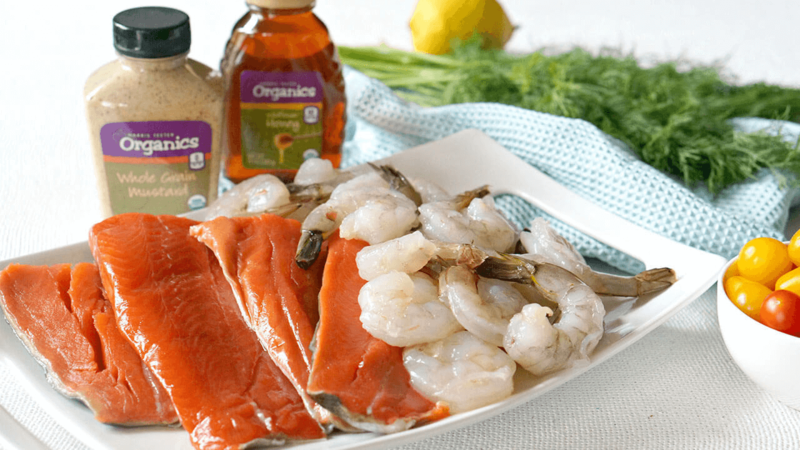 Top each salmon with 4-5 shrimp and season them as well. Drizzle half of the honey mustard sauce atop the fish. Close the foil to form a tight seal. Bake for 13-15 minutes.